It’s a common question among martial arts school owners. Some balk at the idea. After all, sparring is – and is supposed to be – as close to a real fight as students get, without actually getting into one. Instructors worry that students will have one bad experience in sparring and quit, or will simply be too intimidated at the idea of sparring to participate. 1. It lets students test what they’ve learned. Learning a martial arts skill requires more than just repeating a series of motions. Being able to execute their skills in a live scenario lets a student see that what he or she has been practicing actually works. It also gives them the chance to discover what moves work best for them personally. Plus, using their skills in sparring will help students retain them better than if they simple practice the moves against a stationary bag. 2. It adds another fitness element. Sparring can improve fitness in several ways. Students stay in constant motion, which will increase their stamina and cardiovascular fitness. It will also help improve balance, because they will have to make quick, sharp movements then re-center themselves. Lastly, sparring can help develop muscle tone and strength because repeatedly punching, kicking and throwing your opponent engages many muscle groups at once. 3. It helps their sense of timing. When students practice a move alone on a bag, or even with a partner holding mitts, timing isn’t essential because there is no urgency. However, in sparring, no one stands around politely waiting to be punched. A live fighter can be unpredictable, which is one of the reasons why martial arts sparring can improve timing. The more opportunities students get to practice timing with a real person, the better they can adapt their timing in a variety of scenarios. 4. It increases their overall martial arts comprehension. The reasons why you must hold your body a certain way or move your arms and legs through specific motions may seem mysterious to students when you first explain it. Kids want to know why. They want a reason. When they see that a move works in sparring, or why something doesn’t work when they don’t perform it the way you explained, the puzzle pieces fall into place. 5. It may be necessary for belt promotions – and even if it isn’t, it increases a student’s personal sense of accomplishment. 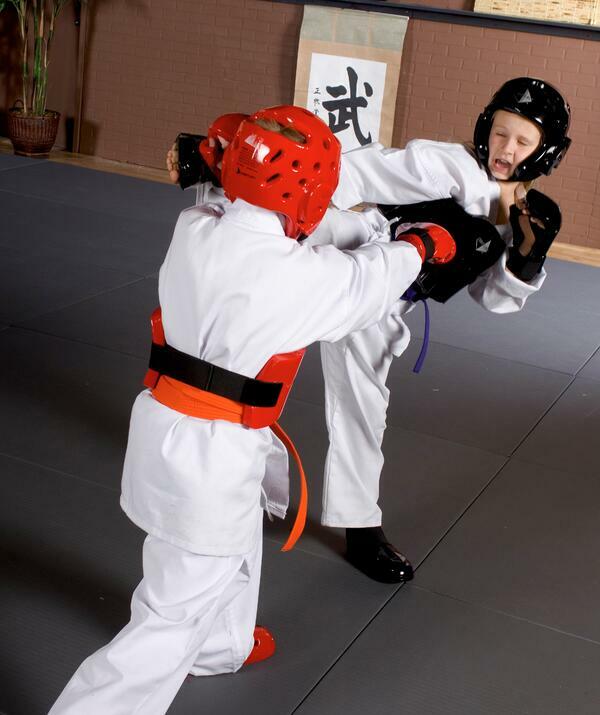 Many of the martial arts schools that do use sparring either require that a student displays proficiency in sparring before he or she can move up an rank. 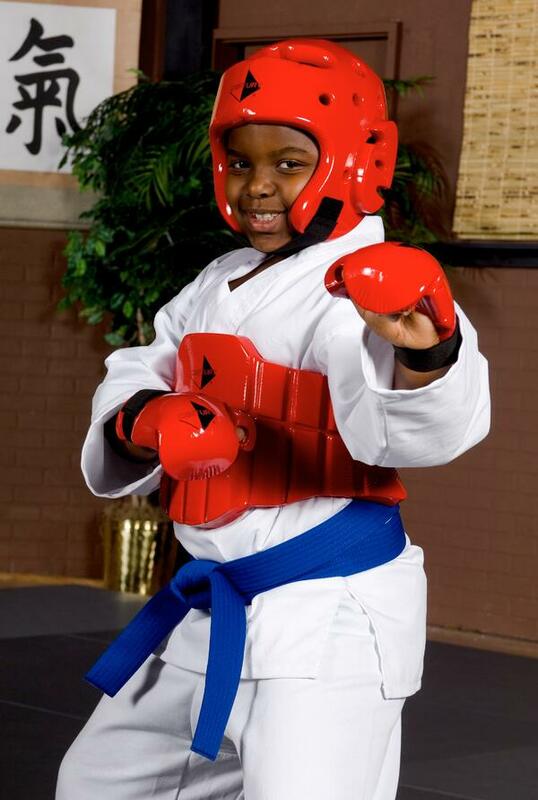 Conversely, other schools may not allow students to spar until they have reached a certain belt level. Either way, sparring can be something students positively associate with advancing their skills. 6. Sparring shows students how to remain calm under pressure. Martial arts sparring can be an adrenaline-pumping experience, but with enough practice, students will learn how to remain calm under a flurry of punches and kicks. This ability to keep a level head under pressure isn’t just applicable to sparring – they’ll be able to use the skill during other stressful situation, such as tests, arguments, and even in emergencies. 7. It’s a chance to practice sportsmanship. Being able to go from trading punches to shaking hands can be a difficult transition. 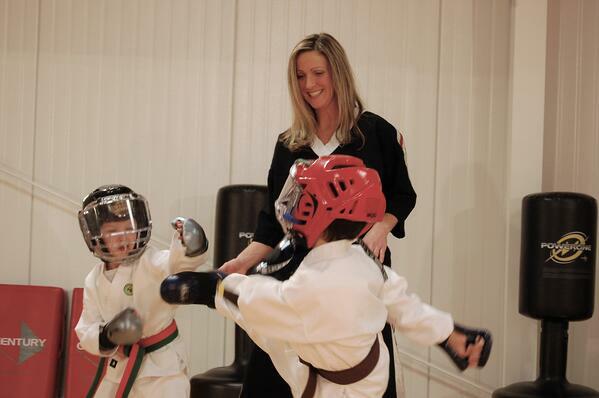 However, frequent sparring can help develop young students’ sense of sportsmanship and camaraderie. In order to enforce this, you, as their instructor, should emphasize that sparring isn’t about winning or losing, but about helping each other learn. 8. It helps them learn control and focus. Of course, your students will be wearing proper sparring gear at all times. Even so, sparring should never be conducted at 100% power. Make this clear to your students, and enforce it. They will learn how to hone critical martial arts skills other than power. Having self-control and being able to rely on technique rather than power are both excellent lessons for students to learn. Yes, your students will make contact during sparring – and they’ll learn that a few bumps and bruises aren’t the end of the world. This will increase their self-confidence should they choose to fight in a tournament or competition. 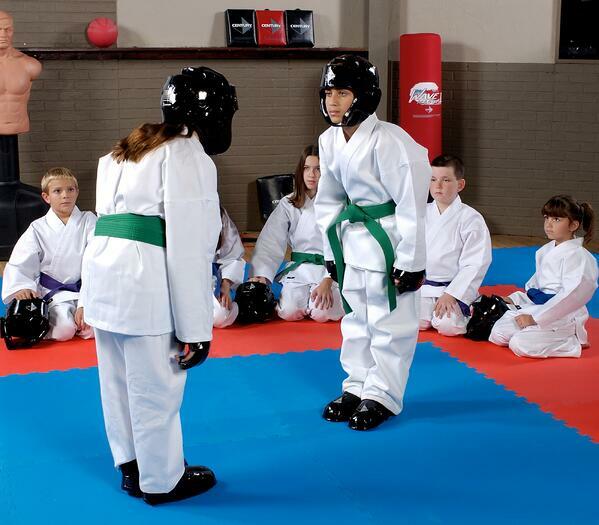 Also, in the event they ever need to defend themselves from an imminent threat (like this 8-year-old girl or this 10-year-old boy, who used moves they’d learned in martial arts classes to fight off kidnappers), sparring will also give them the confidence to trust their skills and fight back. Of course, in order to give students the benefits from sparring, you’ll have to take some extra steps as an instructor. For one, you’ll have to make sure that your students all have high-quality, properly fitted sparring gear that’s in good shape. One way to accomplish this is to sell sparring gear in your pro shop and require that students purchase from you – that way you don’t have to worry about someone using flimsy equipment from a dubious online retailer. You’ll also have to ensure that you have enough staff to properly supervise sparring students. If you want more advice on how to incorporate a sparring program into your school, make sure you check out Chris Rappold’s seminar at the Martial Arts SuperShow, this July 1-3 in Las Vegas. Rappold is a karate champion, instructor, and Executive Director of Team Paul Mitchell Karate. He’s also the founder of the Retention Based Sparring Program, which he’ll be covering in his seminar. You’ll also have the opportunity to learn from other successful martial artists and business owners, and network with hundreds of school owners. Century Martial Arts carries a wide variety of youth and adult sparring gear, including headgear, gloves, shin guards, and other padded gear. Some, like the P2 line, come in a variety of different colors and can be customized with your school’s name and logo, making it perfect for programs.